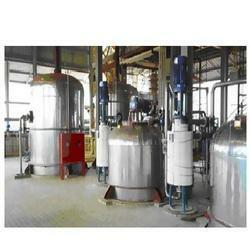 We are a leading Manufacturer of deacidifier distillation plant from Mumbai, India. Backed by a team of expert professionals, we have been able to manufacturer quality proven array of Deacidifier Distillation Plant. The complete range is manufactured using the high quality raw material, which is sourced from reliable vendors of the nation. Further, the range is subjected to rigorous checks and verifications so as to ascertain its quality and compliance with international standards. Looking for Deacidifier Distillation Equipment ?